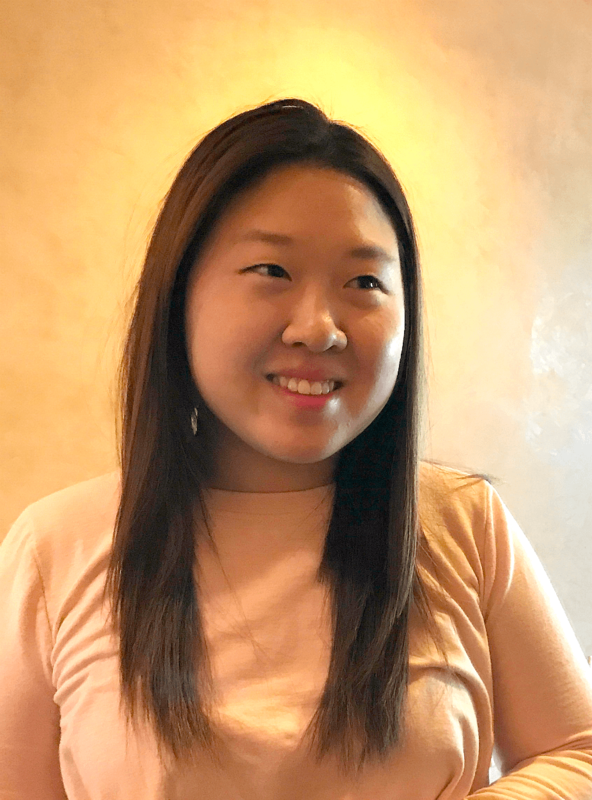 Everyone, please welcome debut author Axie Oh to Rich in Color! We’re thrilled to have her here–I absolutely loved her novel, Rebel Seoul, and you can read my review here. I knew the moment I read the synopsis I would love it. Now on to the interview! 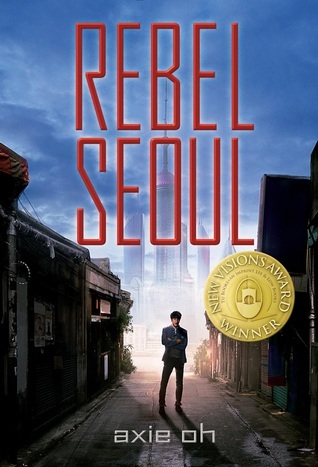 Rebel Seoul was one of the winners of the New Visions Award. Can you tell us more about why you decided to enter the contest and what it was like to work with the staff at Tu Books? I first heard about the contest at ALA in 2014, where I was given a brochure at the Lee & Low booth. I had begun to query REBEL SEOUL (titled something else at the time), and was getting a lot of feedback along the lines of: “dystopia is dead.” This was before WNDB really took off, so I accepted this as fact (now, I would argue – yes, maybe there are a lot of books set in American dystopias with white protagonists, but very few with POC protagonists in a non-Western or even Western setting). When I got the brochure, I really loved Tu Books’ mission statement to diversify children’s literature. I was also inspired to write REBEL SEOUL in part after reading Cindy Pon’s short story “Blue Skies” in the Tu Books’ anthology DIVERSE ENERGIES. So when I sent in my cover letter with my application, I comped my book to that short story! Since winning, everyone at Tu Books has been super supportive and awesome. I’m really proud, honored and grateful to be a part of their list. P.S. Cindy wrote a beautiful blurb for REBEL SEOUL! Science-fiction often gives an author the opportunity to extrapolate upon the present to reshape the world. What drew you to creating a militaristic world like Neo Seoul? What were your favorite parts about building this world? This is exactly it – I extrapolated upon the present. In the world of REBEL SEOUL, Seoul is divided into Old Seoul and Neo Seoul, and I based that concept on Seoul’s present-day geography, as Seoul is naturally divided by the Han River. North of the Han River is Gyeongbokgung (Gyeongbok Palace) and some of the older parts of the city and south of the Han River is the Gangnam district and some of the newer areas, hence Old and Neo (New). All the landmarks and districts are the same. Seoul has a very extensive subway system and lots of taxis and shopping areas and billboards, so I just made that all “futuristic.” Really, I did no world building. It’s all there already! The militaristic world came from a childhood spent watching a lot of sci-fi anime, which oftentimes have plotlines of war or rebellion. Again, I extrapolated from the present, like the idea of mandatory military service, which is a requirement in South Korea for males. In my alt-future, it’s a requirement for all citizens. My favorite parts of building this world were those moments when I could extrapolate from what already exists, where I could add in a scene that felt true to me that I hoped would resonate with others. One of my favorite scenes I put into the novel is when Jaewon goes through the funeral home of a hospital (funeral homes are often in hospitals in Seoul), and he comes across a mother mourning her son. The whole scene is something I’ve experienced in my own life during memorial services, and I wanted to show through the scene a love and reverence for the moment. One of the things I really admired about Rebel Seoul was that the characters all had rich lives before the start of the story. Tell us more about Jaewon and Tera’s development as characters. With Jaewon, I was inspired by Korean dramas. He’s pretty typical of protagonists in high school K-dramas, a loner with a heart of gold. I think the appeal of these characters is that we can trust and put our faith in them. Although they make mistakes and stumble, they never give up, and this gives us hope as viewers. I wanted to channel this feeling with Jaewon. I began with this character archetype and then layered him with a family, friends, history and dreams. As for Tera, her characterization came more from anime. She’s similar to a lot of characters in sci-fi/mecha anime, like Heero from Gundam Wing or Soma Peries from Gundam 00. She’s a government experiment, trained and manipulated since birth for a “greater purpose,” but coming into her own person, discovering her own dreams and desires. Jaewon and Tera are one of my favorite battle couples in YA. Who are some of your favorite battle couples, romantic or not? Minho and Thomas from THE MAZE RUNNER. I’ve only read the first book and seen the films, but I love their friendship, and how together they protect the group. Will & Lyra from His Dark Materials. I love them both so much as individuals. But together, they’re unbeatable. Not YA, but I love Relena & Heero from Gundam Wing. I love how they’re both strong individuals with their own goals and motivations, yet in times of vulnerability, seek each other for warmth and comfort. Family, both biological and of the found/friendship/soulmate variety, had a huge impact on Jaewon and his motivations throughout the novel. Why did you place so much weight on these relationships in Rebel Seoul? What interested you in those types of stories? Again, going back to K-dramas and anime, K-dramas often focus on family and close friendships, and anime on found families and soulmates. These are themes that come up in the media I love and consume, so it felt natural as I wrote the story to incorporate them into REBEL SEOUL. In general, I love all types of relationships – I didn’t specifically start off thinking, okay I’m going to have a bromance or a team of four very different individuals who come together as friends and partners – it just sort of happened! And K-dramas always have four main characters (two leads, two secondary leads), so that formation came naturally into my storytelling. If you could pilot any giant robot (whether from Rebel Seoul or another fictional universe), which would it be and why? Gundam Deathscythe Hell!!! This is the upgraded gundam Duo Maxwell pilots in Gundam Wing: Endless Waltz, the animated film following the television series. It’s just so cool! It specializes in stealth and close combat. It wields a large SCYTHE and has bat wings and cloaking armor that allows it invisibility. Plus, I love Duo. I feel like if I took a “which gundam pilot are you” character quiz, I would get him. What books by or about people of color or people from First/Native Nations are you looking forward to this year? Or that have already come out this year? It hasn’t come out yet, but I read and loved FOREST OF A THOUSAND LANTERNS by Julie C. Dao. It’s an exciting and thought-provoking villainess origin story inspired by the evil queen in Snow White and Chinese court dramas. Looking forward to: WARCROSS by Marie Lu, STARFISH by Akemi Dawn Bowman & TRAIL OF LIGHTNING by Rebecca Roanhorse. Some books I already read and loved: WANT by Cindy Pon, I BELIEVE IN A THING CALLED LOVE by Maurene Goo and THE EPIC CRUSH OF GENIE LO by F. C. Yee! Is there anything else you would like to tell us about Rebel Seoul or your other work? What can we look forward to from you next? Right now I’m working on a YA fantasy inspired by a Korean folktale. Fantasy with a dash of romance were always my favorite kinds of books as a teen (think: BEAUTY by Robin McKinley or HOWL’S MOVING CASTLE by Diana Wynne Jones), so I’m indulging that love of mine, and combining it with the culture and myths that I grew up with! You can find out more about her at her website or follow her on twitter.